2013-2014 – Front Row Theatre Co. 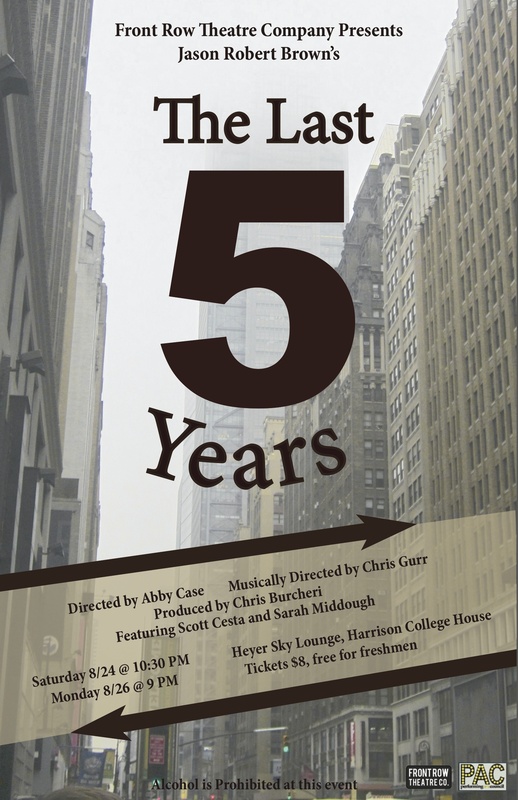 The Last Five Years is a contemporary song-cycle musical that ingeniously chronicles the five year life of a marriage, from meeting to break-up… or from break-up to meeting, depending on how you look at it. 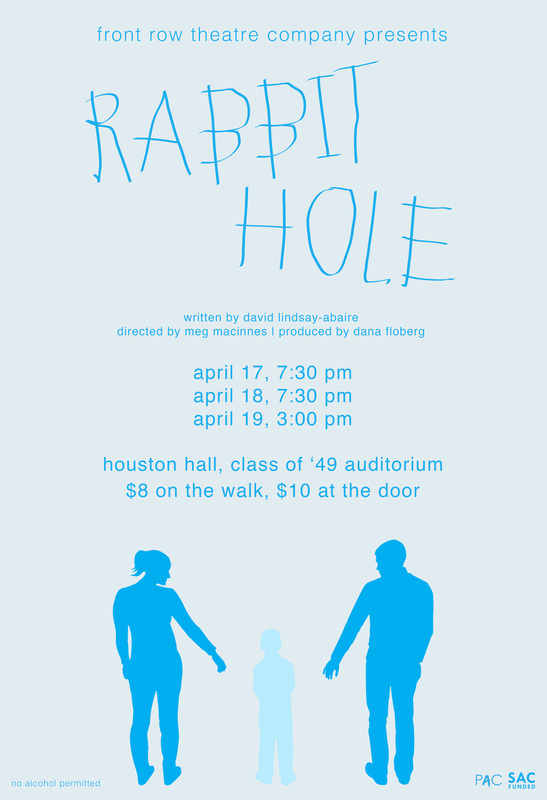 An intensely personal look at the relationship between a writer and an actress told from both points of view. As the sun sets on his reign, King Henry Plantagenet, “the greatest power in a thousand years,” calls his wife, Eleanor of Aquitaine, and their three sons to the palace for the negotiation of a treaty and a marriage contract. 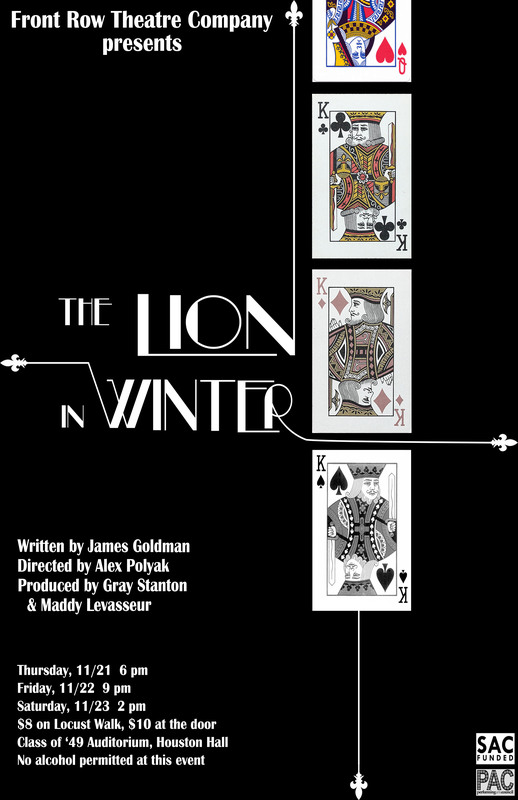 Locked behind the palace doors, a deadly game of alliances and betrayals unfolds as each of the players, fueled by anger and old wounds, moves to control who will sit on throne when Henry is gone. 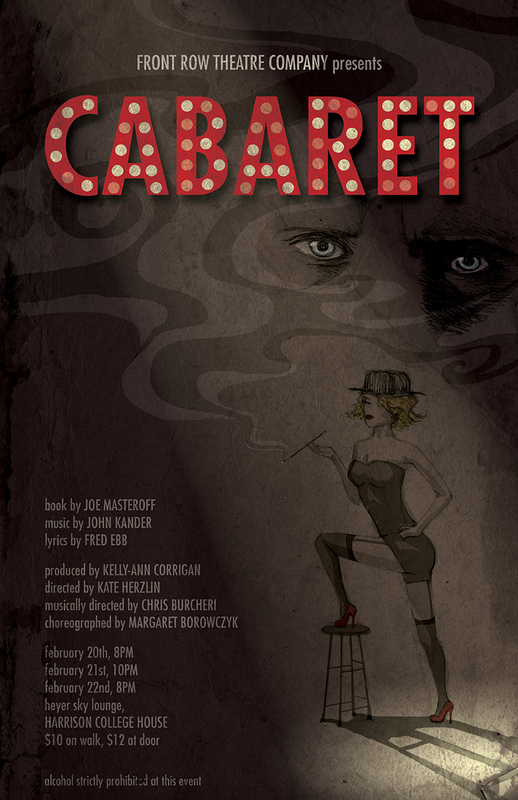 Legendary landmark musical Cabaret turns Weimar Berlin of 1931 into a dark and sexually charged haven of decadence where its extraordinary and morally ambiguous inhabitants are determined to keep up appearances as the real world prepares for the nightmarish chaos of war.